The event began with a greeting by the DMF’s chairman Anders Laursen, who later on announced a laureate of the first music prize of the evening, namely Marilyn Mazur. 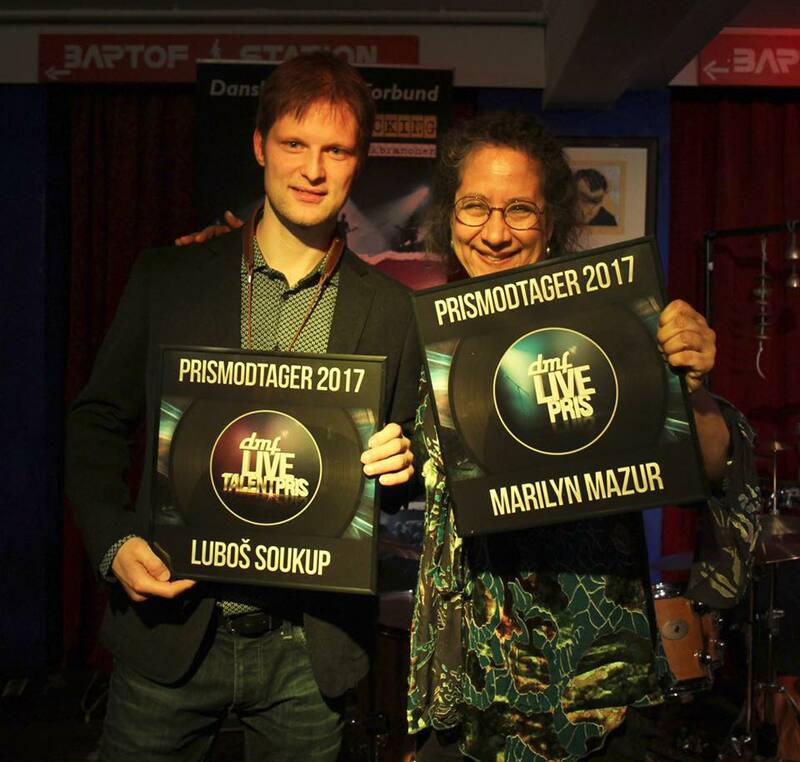 This outstanding drummer, percussionist, vocalist, and composer received the Award for Lifetime Achievement, and it was actually her who named Lubos Soukup a new interesting personality on the Danish music scene and suggested him for the Music Talent Award. “I thought of a musician that I felt akin to, and that I had heard once. And then I started to google him, and every time I came across his music, it was yeah yeah yeah … It touched me in unique ways and it touched me strongly. It was you Lubos Soukup. You made me fly,” said the artist. “It’s great to get an award from a musician like Marilyn, who has played with so many great musicians. She is an amazing musician, so it really means a lot to me. It is magical when Marilyn plays; she has been a pioneer,” said Lubos Soukup during the ceremony. 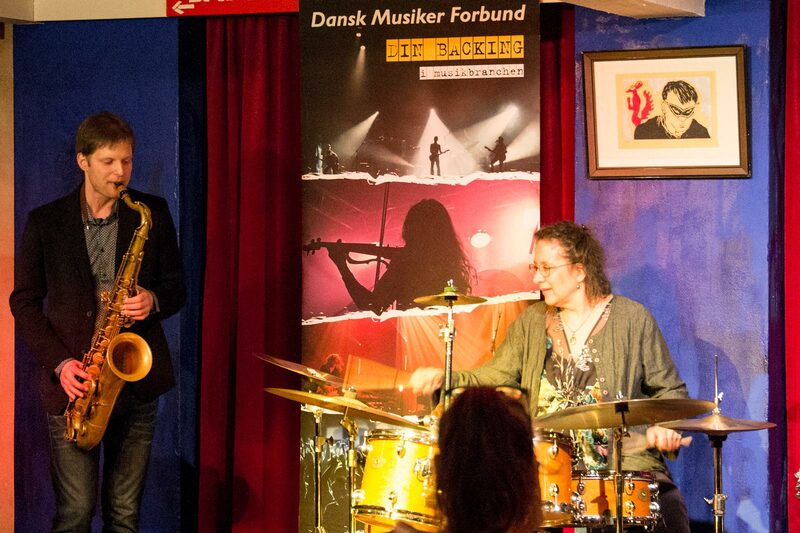 The highlight of the evening was the free-impro joint concert of this two award-winning musicians. Although both artists admired each other’s work, they didn’t have the opportunity to meet face to face and play music together before the event. “I was very touched by Marilyn’s speech about my music yesterday, and playing with her was like surfing on the wind. Beautiful experience!” added the saxophonist after the concert. 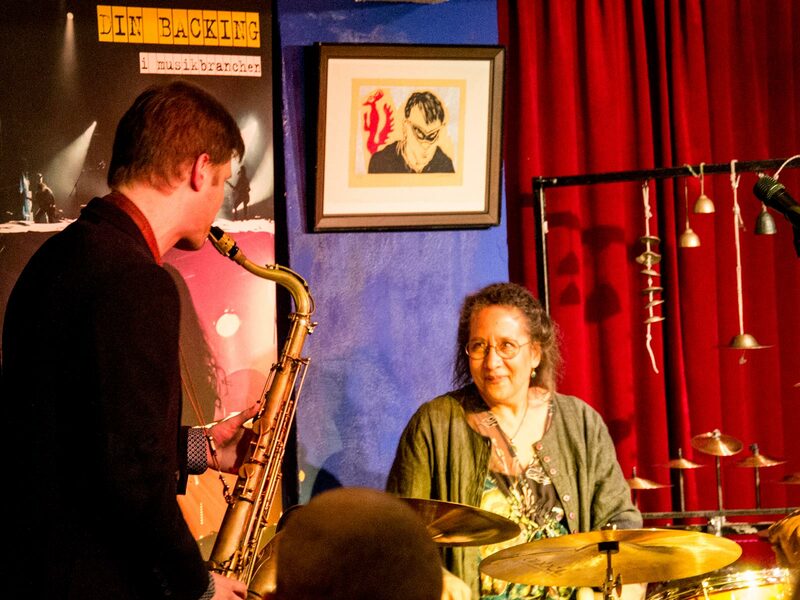 Marilyn Mazur is one of the most respected people on the Danish jazz scene. This creative diva with Polish and Afro-American roots was born in New York. When she was six, she moved to Denmark with her parents. Marilyn Mazur is an autodidact, however, later on she studied percussions at the Royal Danish Music Academy in Copenhagen. During her music career, she has played with Miles Davis, Wayne Shorter, Gil, Evans, Jan Garbarek, and Dhafer Youssef, to name a few. She is the lead in her own bands and special projects including her female-only shamanistic orchestra Shamania. She also composes film and theatre music.